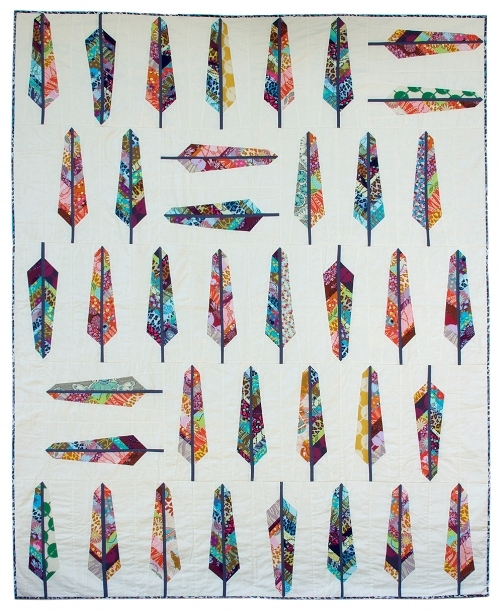 A fun & scrappy feather pattern for our next donation quilt. We’ll use osnaburg, a lightly textured, inexpensive cotton, as a background to unify all our blocks. It is available at West Seattle Fabric Co. in Admiral, as well as many other fabric stores & online. 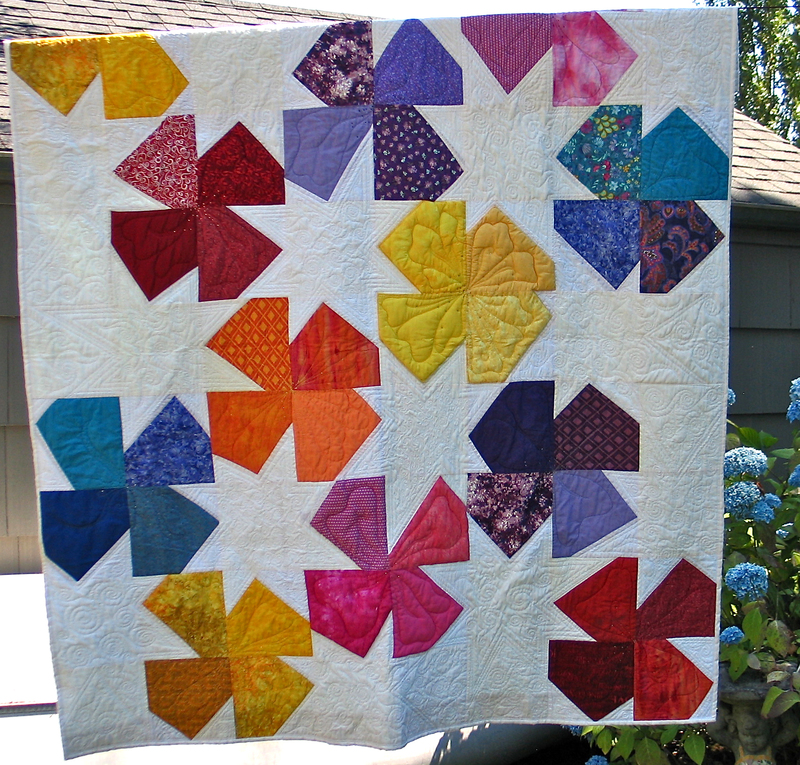 The feather block is from the Feather Bed free quilt pattern designed by Anna Maria Horner. Read Ms. Horner’s blog about her lovely design here. And download her pattern for free here. While you’re there, be sure to check out all of her amazing work! Another blog OliviaJaneHandcrafted.com, has an interesting tutorial on doing the feathers, lots of clear pictures! Join us for our last meeting of the year. We’ll reflect back on all we accomplished in 2014 and look ahead to 2015. And, of course, there will be cutting & sewing! 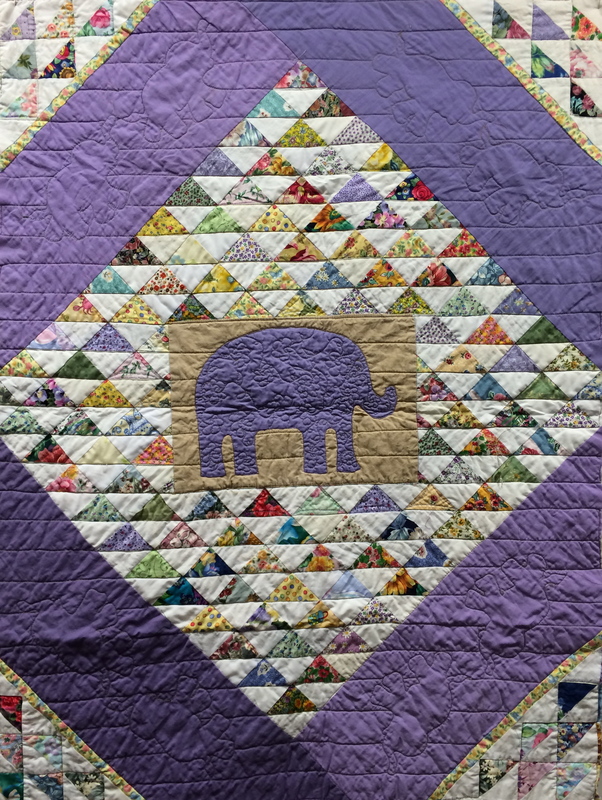 Be sure to check the quilt gallery to see some of the latest quilts. Our next three meeting dates have been set: Sept. 17th (in one week! ), Oct 15th and Nov. 19th. We’re talking about adding some baby sized quilts to our donations for the women who come in with their small children. 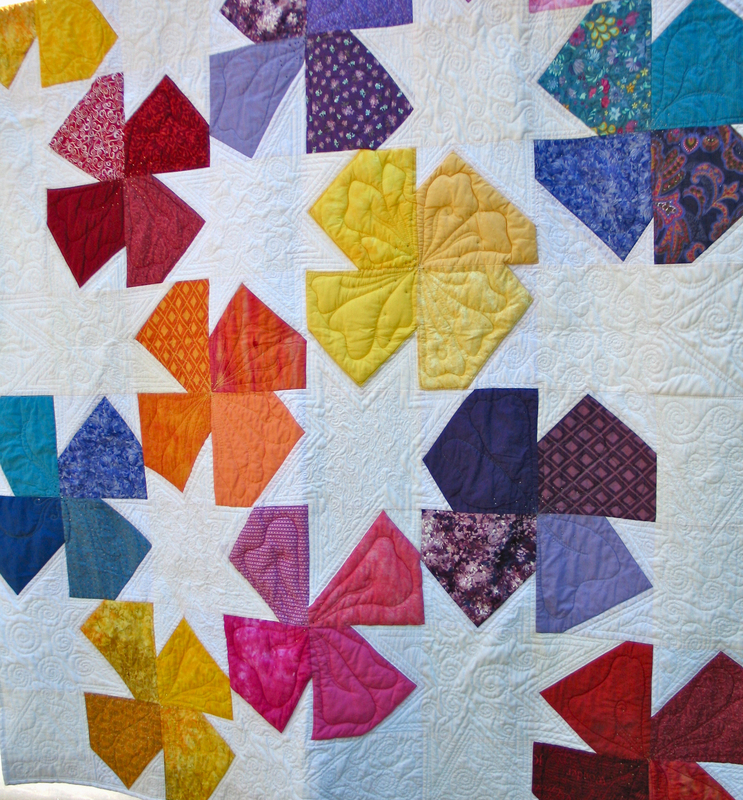 Give some thought to ideas for lovely scrappy baby quilts! Our donation to the WSGT raffle is finished, bejeweled, photographed and gone! 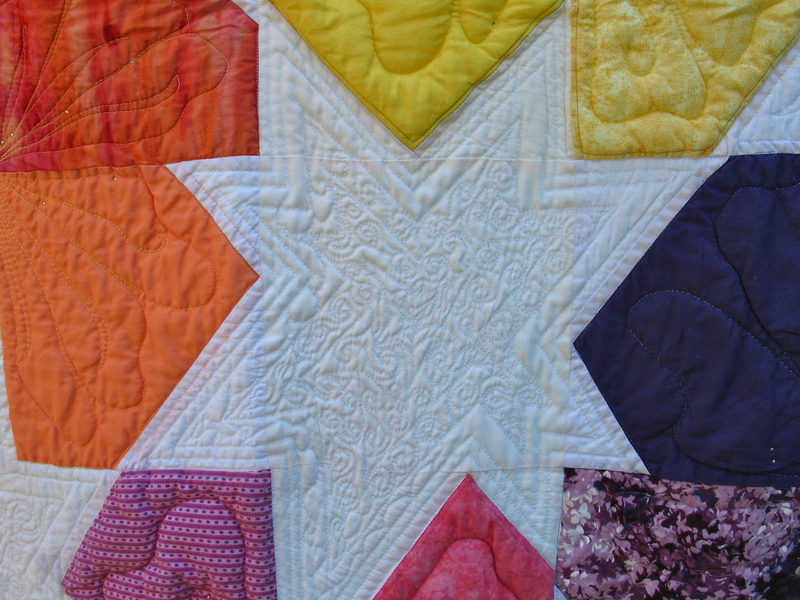 It came out bright and cheery, Lee did a glorious job quilting it and then we added a little bit of sparkle just for fun. Somehow it ended up a bit bigger than we recalled and will make a lovely snuggle/lap sized quilt. Be sure and join us at our next meeting! Gaea has gotten in touch with the folks at WSGT and committed us to donate a garden themed quilt as a raffle item, to be displayed during this summer’s tour. WSGT supports many wonderful organizations, we are happy to be supporting them. Our next meeting will be focused on creating a piece for donating, as the deadline is just a couple short months away! Remember to bring any petals you have made and we can also work on layouts. 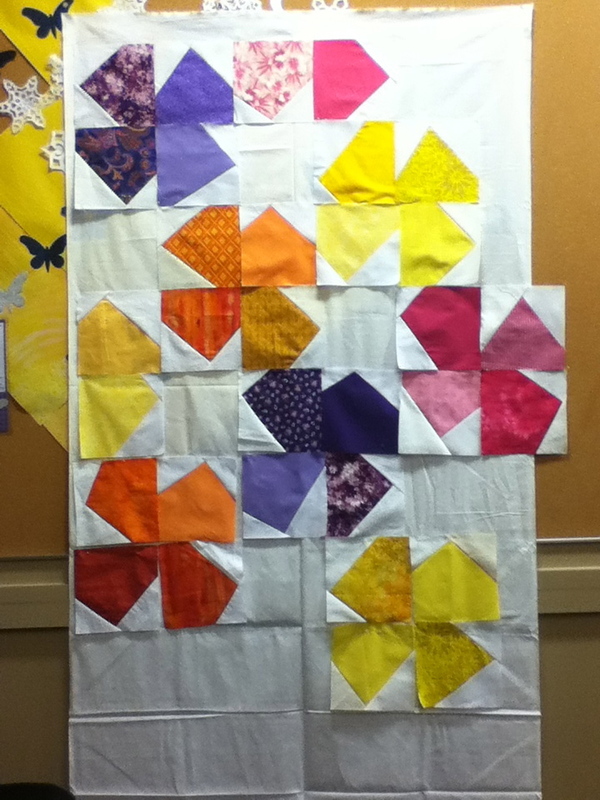 Lee completed the lovely quilting on the lantern quilt in recorded time – it looks fabulous! Another fun way to make something beautiful from strippy scraps! She also got our stack of finished quilts delivered to the new charity we are supporting. It is also a domestic violence shelter. We’re moving onto the petals for the flower quilt (directions found here 4 patch flower). We’ll need a total of 80 petals and 16 white squares to complete this quilt. Bring all your petals to the next meeting (4/23) and we’ll have fun creating the layout and stitching the top together! Lanterns and future flowers, part duex! At the March meeting, we will be laying out the courthouse steps/Chinese lanterns and sewing the sashing on. So bring any blocks you have for that quilt! 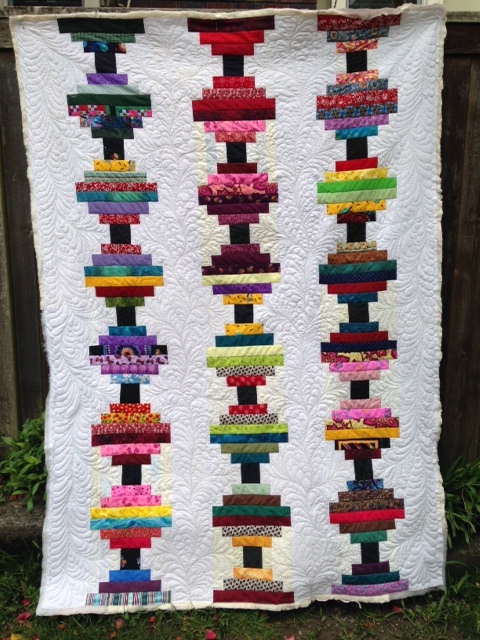 We will also discuss the upcoming flower quilt and talk about whether we want to offer to hang our quilts in the gardens at the West Seattle Garden tour this year. You can review the options for the flower quilt design below.